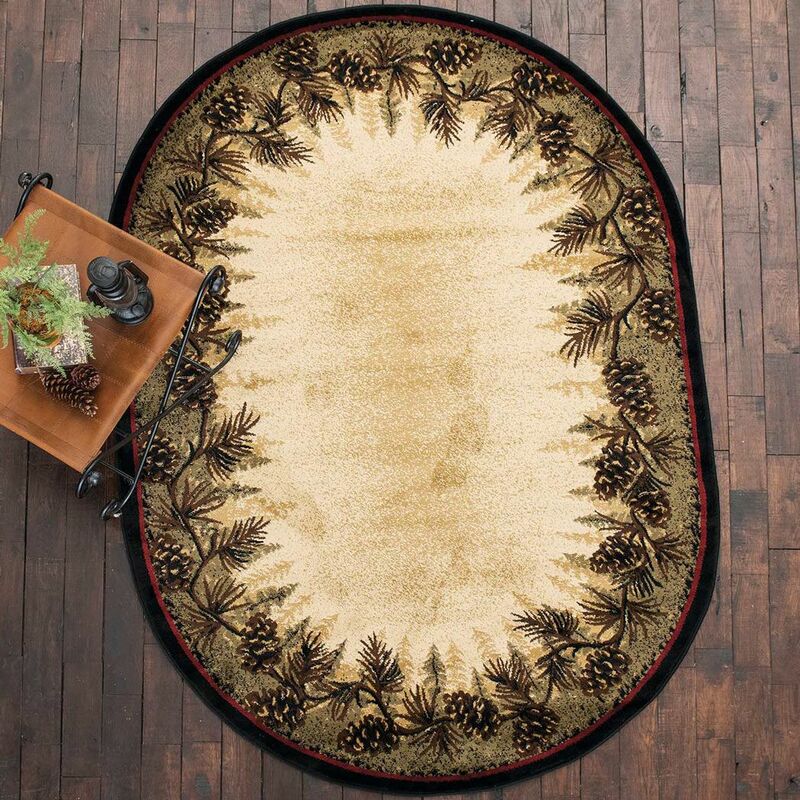 A Black Forest Décor Exclusive - Pinecone boughs encircle this handsome polypropylene rug with durable polyester backing. Spot clean. 2'3"W x 5'3"L.